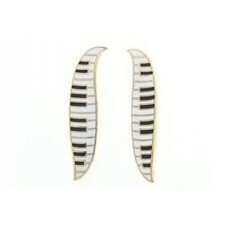 Earrings different from each other, very musical. 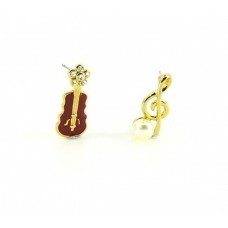 One is a particular violin with a crystal rosette ..
Steel earrings different from each other: one is a simple eighth, the other consists of two eighths ..
Earrings with the historical brand "His Master's Voice". 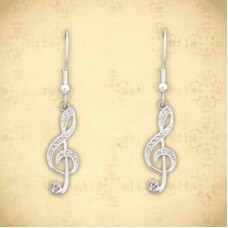 This mark, of the very famous house of gram..
925 silver earrings in the shape of G or treble clef. 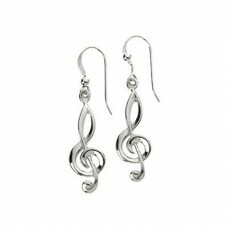 They are very three-dimensional, they are not ..
Earrings with big dangling G clefs. 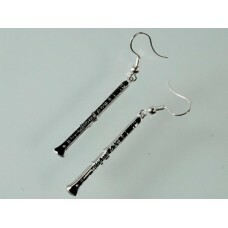 The classic G clef is in silver, and is covered with crystals.CL..
Earrings with clarinet. Black enamel. 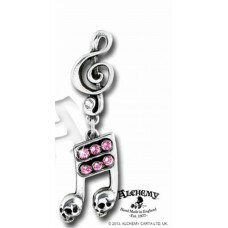 Silver color finish.CLOSING: hook, for hole.DIMENSIONS: of the..
Earrings with a musical eighth, plated in rose gold (the stem) and rhodium (the tail). 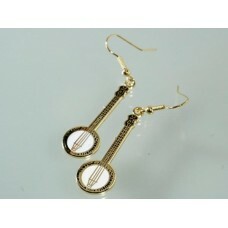 The head cons..
Earrings with flute. 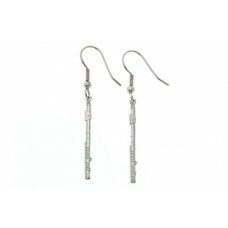 They are in silver color.CLOSING: hook, for hole.DIMENSIONS: of the flute: 3.1 ..
Shure type microphone earrings. 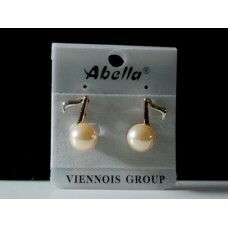 They are in silver color. 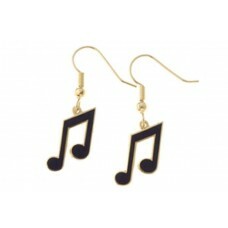 For singers, DJs or anyway for those who s..
Earrings that represent tied musical eighths. 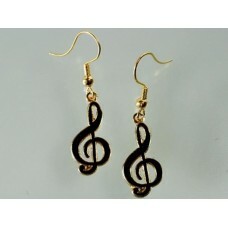 They are with gold-colored frames and black enamel.CLO..
Earrings with treble or G clef. Black enamel. Gold-colored finish.CLOSING: hook, for hole.DIMENSIONS..